Chance Encounter (multiple upkeep triggers)? 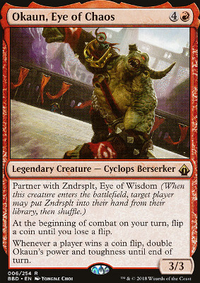 NoOneOfConsequence You are right, Karplusan Minotaur may not seem a great card, but it's the only one, other than my commanders and Chance Encounter , that cares about me winning coin flips, so it adds more value to all the other coin flipping cards in this deck. It makes me flip more coins thanks to the cumulative upkeep and the drawback of losing the flips is minimum. 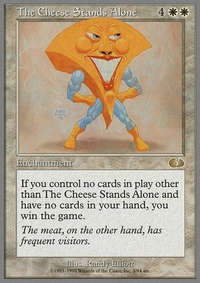 Sometimes there is no drawback, because I choose the opponent when I lose a flip, so I can play this card in a more political way. And when I win, I can always decide to direct the damages to the minotaur itself and destroy it If I'm going to risk too much with it in play. BMHKain Looks like it'll work pretty well so far! 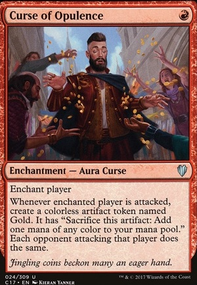 Seems like a higher-budget version of this deck. 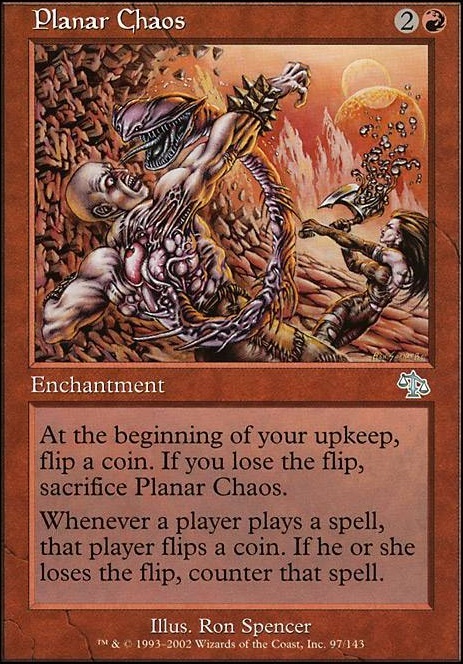 Some things that you could change: Tide of War personally was never worth it, since it discourages attacking and puts a target on your head for 6 mana, and usually you'll want people to attack for cards like Desperate Gambit and Impulsive Maneuvers (and you don't want Okaum dying with a huge amount of P/T either). Two-Headed Giant is on-flavour, but he doesn't actually work with your commanders. Skyclaw Thrash and Mijae Djinn tend to not have a big effect on the board since the biggest wincon is usually either Chance Encounter or Okaum (although I understand if he gets hated out a lot). 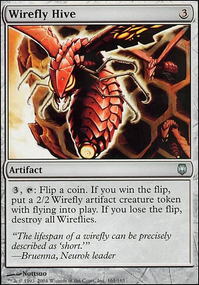 If you're going for a higher-power deck, you could probably remove even more coin flip cards like Crooked Scales, Mogg Assassin and Volatile Rig, replacing them with mass removal, unblockable enablers or different on-theme cards like Chaos Warp or Stitch in Time. 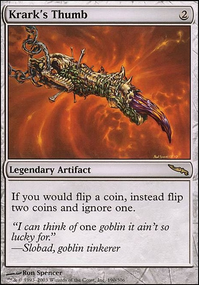 I definitely think that Lightning Greaves and Chandra's Ignition are huge cards for my deck, so I'd really suggest using them, and if you are looking to go on the more control side with Zndrsplt, Planar Chaos would be a good addition. Maybe even Laboratory Maniac depending on how many cards you're getting from the additional draw engines (with Impulsive Maneuvers it's easy to draw a ton of cards, and you have Frenetic Efreet which lets you flip as many coins as you want, not to mention Krark's Thumb), although I didn't go for that angle since my deck focuses more on killing with Okaum. As for positives, I like the idea of Sunbird's Invocation, Tyrant of Discord and Etali, Primal Storm! They fit the flavour of the deck while adding more value. I think in general you have a good spread of card advantage and wincons. It looks like you're going for more general value with Zndrsplt and a splash of unblockable for Okaum, which seems like a good take on the deck since Okaum is a wincon without much extra effort. 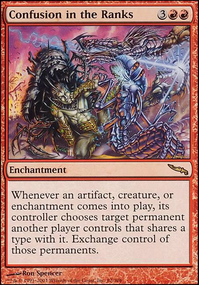 The cheeky Drift of Phantasms is a great way to find Frenetic Efreet or Fabricate (for Krark's Thumb) as well, and I actually meant to include Muddle the Mixture but forgot, that's a great card for the deck! Managem, Pir and Toothy seem very interesting, good choice! moysturizer Yeah, thumb is awesome lol, looking at your deck, I also used a lot of the other coin flip cards that you are using, but Two-Headed Giant and Mana Clash both don't work with them. I also got rid of most cards that required you to pay some form of tax or do something to be able to flip a coin (like Sorcerer's Strongbox and the creatures that flip when they attack/block) and replaced them with more chaos-ey cards because most of the time the other cards end up being dead, so I could stay on theme while still having. I do like the deck though! You are running some chaos-ey cards that my playgroup dislikes such as Planar Chaos, Hive Mind and Tide of War, so I'd imagine that you have a larger effect on the gamestate with the drawback of drawing more attention to yourself. It's an interesting version of the deck!